Features: Metal burr grinder does a fair job of pulverizing coffee beans. Never jams. Grounds end up in glass beaker with silicone rubber sleeve protection. Easy to disassemble and clean. Downside: Need to jar and tap the entire machine to make grounds empty out completely into beaker. When new, the plastic bean container on top shifted out of the largest ground setting during grinding – to the release position – and stopped the grinding. Better to keep it at the second to last setting for coarser grounds. This didn’t happen again since. Application: Sits on the counter top for daily morning brew at home. Pout beans in top, push grind button, shake and tap. Features: Small enough to be a true handheld travel grinder. Adjustable ceramic burr for ground size. Removable handle for compact storage. Good for pour over brewing on the go. Downside: Grounds are inconsistent. Requires time and effort for finer grounds. Application: I took it backpacking through Bali, Singapore, Thailand and Korea. Stored butter coffee ingredients like vanilla beans in the clear bottom part. Features: Stainless steel French press beauty brews 30 ounces of coffee. Double walled body keeps coffee hot while brewing. Smooth lines make it easy to clean. Ergonomic handle and contoured spout make pouring clean and effortless. The lid fits pretty deep below the rim of the jug, lessening spills. There’s a little arrow embossed on the top for easy reference to the pour opening. The press itself is wonderful. There’s a silicone rim around the filter that cleanly keeps the grounds down as it slides against the jug. The shaft is solid steel, and screws into the filter via a sturdy attachment. The metal filter screen is fine enough to make a clean, crunch-free brew, but somehow can be pressed with very little effort. Downside: Some water gets trapped under press screen, but tilting all the way gets it out. The brew is harsher than pour over and may not fit to your taste, but if you like a strong coffee flavor, this is way to go. Cleaning is quite inconvenient. There’s no way around it. Let it cool down first, pulling up the lid just enough to be able to hang over the edge and expose the used grounds to the air. This makes it easier to scoop out the grounds later. I use a soft spatula. Application: Good for brewing coffee on rushed mornings. Brew hands-free for four minutes while adding butter coffee ingredients to blender. Pour finished coffee out and blend. Pour over brewing, in contrast, requires full occupation. Features: Light steel kettle can boil 1.2L water over all types of stove tops. No cleaning needed if good water is used. Lid fits very well and rattles when boiling. Spout is ingenious, pours pinpoint water for precise soaking of coffee grounds. Downside: Handle angle and spout length require some distance from grounds. Difficult to brew directly into a tall blender if counter is too high. Placing the blender in the kitchen sink allows for easier brewing. 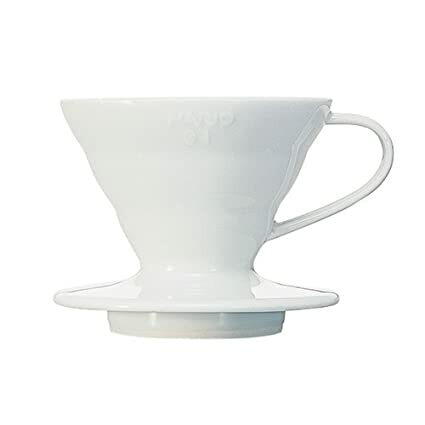 Application: Hario is the authority brand on pour over coffee brewing. I used this every morning for three years to make my butter coffee. The ceramic dripper cup, featured below, can be placed on top of a blender lid opening, and the coffee brewed directly into blender and other ingredients. 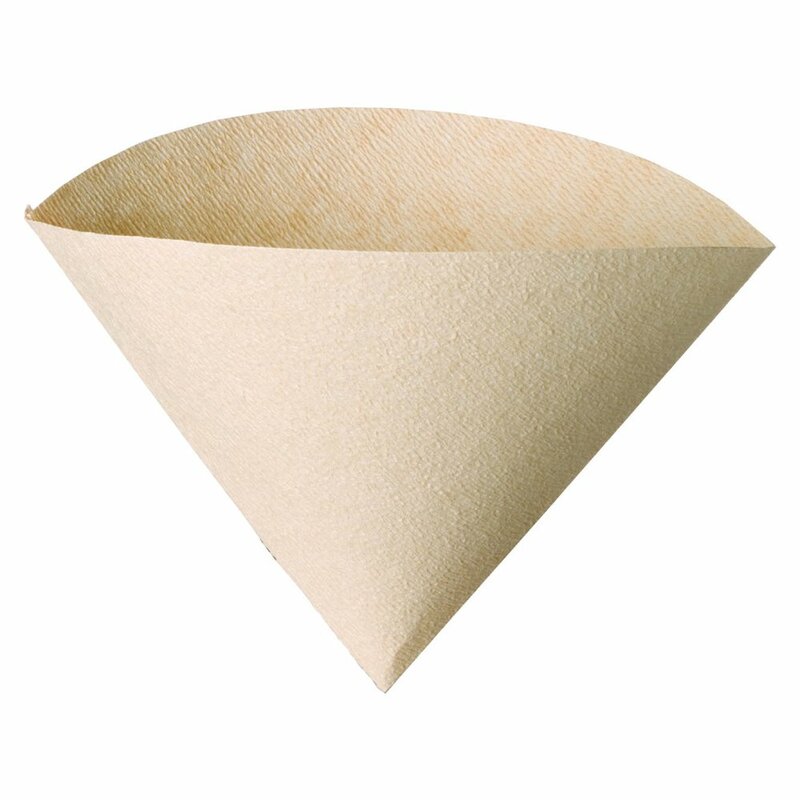 Paper filters are also needed. See Make Butter Coffee for the setup and instructions. Application: Size 01 fits enough grounds for about two mugs of coffee. Application: Size 02 fits enough grounds for about four mugs of coffee. Officially it’s 3 cups, but I stretch it with more grounds and careful brewing. Features: Light yet sturdy spoons. Shallow bowl fit into small package openings. Easy to clean. Downside: Ring holding them together was flimsy and came apart. Spoons constantly fell out of ring. This was fine for me because separate spoons make measuring easier. Application: Measure and dump the dry powders, like creatine, vanilla, and cacao, first, then the stickier powders and liquids last. Collagen powder is better measured with a separate scoop altogether, as it sticks and can transfer over to other ingredient packages. Save the MCT oil for last. If you accidentally dip a spoon wet with MCT into your chocolate powder bag, you won’t be the first or the last. 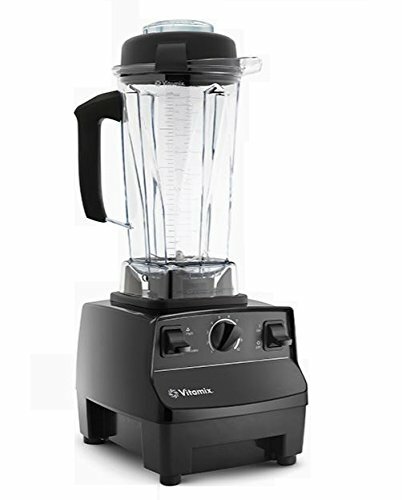 Features: Cheaper than other brands, this blender has a light-weight plastic jar that makes it easy to handle while adding ingredients and to pour. The flexible lid fits well and is easy to clean. The whole thing is simple in design and has no cavities where mold can collect. Downside: Having a towel held firmly down on the lid is a must, to prevent hot coffee from shooting out through the center cap. The blender is not meant for a large volume of liquid, so the hard plastic cap in the middle of the lid doesn’t seal tight. 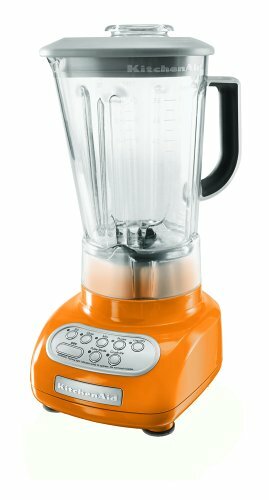 This is also not a very powerful blender. Foam will be fluffier and not as thick as with a Vitamix. Application: This blender is on the tall side. Use a low counter or table, or a clean sink, if using a pour over kettle. Remember to hold that dish towel down hard on the lid and blend at the highest speed for a full 30 seconds. You’ll have very good butter coffee.